Bariatric surgery has been shown to be an effective therapy that results in long term weight loss, resolution of co-morbidities and improved quality of life (QOL). Most of these studies lack comparison with a non-operative group. 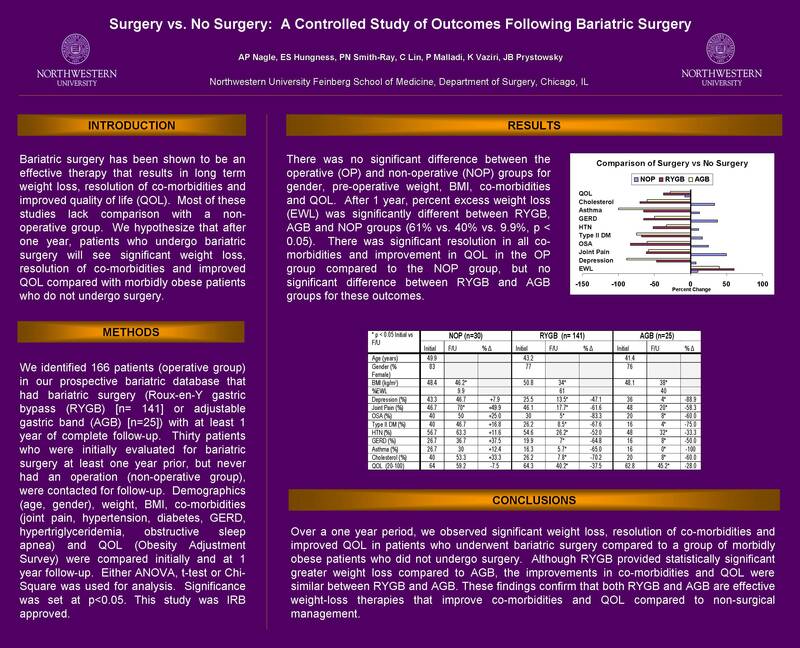 We hypothesize that after one year, patients who undergo bariatric surgery will see significant weight loss, resolution of co-morbidities and improved QOL compared with morbidly obese patients who do not undergo surgery.